The world of computers is ever evolving, with new hardware innovations released and ever more intelligent software developed every day. 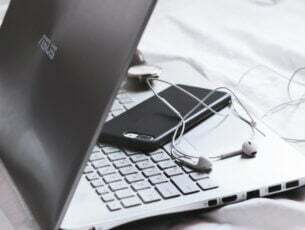 Eye tracking laptops are one such technology in which interest is growing. These are laptops equipped with high-performance hardware sensors consisting of customised components and advanced optics. Well, that’s the rather elitist definition of eye tracking laptops. In this article, we will delve deeper into the subject of eye-tracking laptops and, in the process, get to understand the concept of eye tracking, the technology behind it, and the applications for eye tracking on laptops. This should also help us break down and simplify what eye-tracking laptops really are about. Hopefully, by the end of this article, we will have a better understanding of the concept of eye-tracking as it applies to laptops and its many potential applications. Eye tracking is the study, recording, and measurement of either the point of gaze or the movement of eyes relative to the head. In general, gaze refers to where one is looking, and specifically where one’s eyes are focused. Eye tracking on laptops is thus the process of electronically locating where a person’s eyes are focused on as they gaze on the laptop screen. The gaze must, of course, last a reasonable time. Similarly, eye tracking on laptops can be understood as the recording of eye movements as the eyes gaze on or follow an object, lines of text, or any other visual stimulus on the laptop screen. Eye tracking data collected on laptops now make it possible to objectively qualify human attention in real time and monitor when and where one’s eyes are focused. To implement eye tracking on a laptop, we first need to equip the laptop with an eye tracker, which is hardware that acts as an input device for human-computer interaction. An eye tracker enables the recording and measurement of eye positions and movements. An eye tracker consists of sensors (camera and advanced micro near-infrared (NIR) projectors), and image-processing algorithms. Eye tracking devices use a concept commonly referred to as pupil centre corneal reflection (PCCR). Near-infrared (NIR) projectors are used to create a reflection pattern of near-infrared (NIR) on the eyes. The generated near-infrared (NIR) light is directed toward the center of the eye (pupil), causing visible reflections in the cornea (outermost optical element of the eye). The high-frame-rate images of the eye and reflection patterns are captured and tracked by small digital video cameras or web camera (webcam). The digital cameras, which are mounted on the laptop screen (monitor attached) or embedded within the monitor, are configurable and angled to capture eye tracking digital images at eye level. Webcams are more accessible and can be used in place of monitor embedded cameras, but they do not deliver the same level of accuracy as infrared eye trackers. The final piece of technology to complete an eye-tracking laptop is the application layer, which is the eye tracking software that records and analyzes the digital images captured by the eye tracking device. The image-processing algorithms find specific details in the eyes and reflection patterns, and use the technological interpretation of the stream of images generated by the sensors, to calculate the eye’s point of gaze on the laptop screen. Free, open-source, or commercial eye tracking software, compatible with a variety of eye trackers or eye tracking hardware from vendors such as Tobii, SMI, Eye Tech, Eye Tribe, GazePoint, is available from third-party software vendors. Accurate and reliable eye tracking software, allow tracking from both near-infrared (NIR) and visible spectrum illumination. The software enables comprehensive data analysis that assists in visual research and human decision making. Eye tracking technology is getting more advanced by the day. There are now eye trackers that not only establish exactly where one’s eyes are focused, but can also determine presence, attention, drowsiness, conscientiousness or other mental states of the person sitting in front of the laptops. 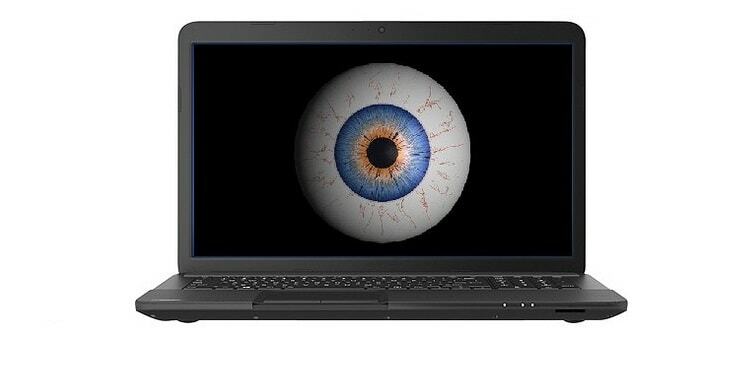 This opens the door to many exciting applications for eye-tracking laptops. 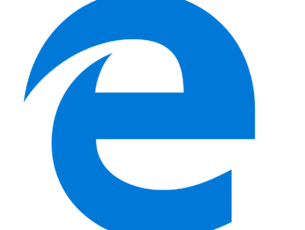 We have even seen big software developers like Microsoft jumping to embrace the technology. There is even support for eye trackers on the Windows 10. Eye tracking technology can be used in place of a PC mouse or touchpad. It now also allows people with severe physical disabilities to use gaze for computer commands they would otherwise need a keyboard for. For instance, people afflicted with Amyotrophic Lateral Sclerosis (also called ALS or “Lou Gehrig’s disease”), who have paralysis of voluntary muscles or have lost their voice but are able to move their eyes, can use eye-tracking technology to better interact with computers. Amyotrophic Lateral Sclerosis (ALS) is a rapidly progressive and fatal neuromuscular disease that is characterized by the degeneration of a select group of nerve cells and motor neurons in the brain and spinal cord. The loss of motor neurons leads to paralysis of voluntary muscles. But there is generally little impairment of the brain or senses. Eye-tracking technology thus enables ALS sufferers ability to benefit from using computers through eye-enabled logins, hands-free typing, and other tools made possible by the technology. Eye tracking technology can also be harnessed in many exciting ways by digital marketers. The technology now allows webmasters and other digital marketers a better way to learn how users interact with digital media. For example, we can deduce what attracts people attention more as they browse web pages as well how they interact with products and advertisements. Website designers and owners can accurately pinpoint areas they need to concentrate their efforts to lower bounce rates, increase time on page, and optimize conversions. All this is data consumers may not willingly give up or disclose in focus groups and other traditional methods of consumer research. Using information gleaned from the data analysis availed by eye tracking software, we can now confirm whether or not an advertisement is actually seen. Advertisers are now in a better position to determine which types of adverts generate the most interest. You can deduce the amount of time a person gazes at an advert to mean the advert has had some effect on them. The opportunities for advertisers and marketers in general to harness the power of eye-tracking technology are thus endless. There are even more exciting applications for eye-tracking technology for gaming laptops. Add the growing scope of face recognition software, the rapid pace of growth in the world of artificial intelligence, and eye-tracking laptops may go mass market sooner than we think. As the eye-tracking technology is still in its formative stages, both the hardware and software will be pricey. However, as interest in the technology grows, as it should judging by the rapid growth of other machine learning technologies, demand will also rise. The growing demand should meet with a corresponding drop in costs as both hardware manufacturers and software developers scale up.